Have you ever wondered if your young child is ready to learn to read? Some parents become so enthusiastic that they overdo it and turn the whole learning process into a mind-numbing daily drill. They forget that young children at this age should be playing. 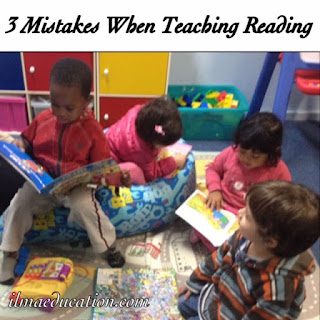 They forget to put the fun into learning to read to make it more engaging. Does this sound like you? It’s alright to be eager but don’t fall into these three mistakes. You mean well because you want your child to be able to read. You don’t want her to develop reading difficulties or be delayed in her reading development. These are all valid concerns as schools sometimes use the wrong methodology or they go too fast for children to grasp the concept of reading. The result is that some children cannot read. You don’t want this for your child. At the opposite end of doing nothing, you do everything to get your child to read regardless of whether she’s ready or not. You’ll know she’s not ready by her blank looks or resistance when you try to teach her the alphabet, its sounds or some words. When you encounter blank stares or resistance you need to stop because you could be causing stress to your child. In my preschool classes, I will only start to teach children phonics if they are ready. Because of this some children are able to memorise and associate letters with its sound while others do not. I often have mums whose children are not ready to even learn the alphabet insisting that I teach her child. They wonder why their child does not know the letters yet while the other children do. Even though I’d explained to them that their child is not ready they still insist. So when I tried to teach them they return blank stares or become frustrated. Parents, you need to remember that children will learn to read in their own time, as long as we provide support. It’s the knowing when to just provide support and when to teach that makes great teachers. And, parents, you can be your child’s greatest teacher. What to do instead: If you want to teach your child to read but find that she’s not yet ready then you’re in the preparation stage. This is the stage where you prepare your child for reading by letting her play with letters and words. You can introduce a letter slowly in a play situation such as giving her letter dough cutters or sponge letters when she’s playing with play dough or painting. When she picks up a letter you can casually say, “That is the letter t. (It makes the sound t).” And that’s it. Let her play but don’t turn it into drill practice. If she’s interested she’ll let you know. The very first step to reading is actually hearing and distinguishing the sounds in words. So children should learn sounds first before they learn to recognize whole words. I know there are lots of reading programs out there that teaches babies to recognise sight words. I’m not commenting on this because I haven’t used them and I don’t know how successful they are when the babies become older and start to actually read from a book. All I know is that they teach babies to use visual memory to recognize sight words. What I also do know from teaching older children and the reading research literature is that teaching sight words as the main form of reading strategy does not produce successful readers. I’m not saying you shouldn’t teach your child sight words because you should...but only after he has learnt phonics and decoding with sounds. When he can start to blend the sounds then sight words is taught. It shouldn’t happen straight away. Kindergartners who come to my tuition classes for help in reading often have this problem. The school has taught them sight words but they have not memorized all the 100+ words. So when it comes to reading they become stuck when they encounter words that they have not yet memorized or words that they have not been taught. Most of these words can be sounded out or read by recognizing the spelling pattern. What to do instead: If your child cannot yet differentiate between sounds in words then provide him with activities that encourage him to play with sounds. This is to raise his awareness that the words he speaks are made up of sounds. This is called phonemic awareness. Nursery rhymes are great for this. It will train him to hear similar sounding words and then later differentiate between the first letter sound (onset) and the ending sound (rime) of a word. I’m sure you’ve all heard that actions are more powerful than words and that children learn more from what they see and not what they hear. So if you tell your child that reading is good but you don’t read yourself or even enjoy reading then your child does not have a model to follow. But if your child sees that you are reading then she is more likely to copy that behaviour. Reading is not just looking at pictures, scrolling through texts and shopping online like what people do on the internet and say that they’re reading. It’s taking the time to understand what the text is communicating to you and even enjoying it. Children in my prekindergarten classes love to read because I read to them all the time. I also make books available to them for reading. When they read these books, they would mimic reading by turning the pages and retelling what’s happening by looking at the pictures. This is what you’d want your child to be doing as well. What to do instead: So if you want your child to develop a love of reading then you must show her that you love reading as well. One way to do this is to simply model reading. You should read all the time to yourself and read to your child as well. When you read to your child and make it an enjoyable experience, your child will develop a love of reading and want to learn to read. So before your child can read, you need to lay the foundations. This means that you need to prepare your child for reading. You make it fun and enjoyable so that he’d be curious and want to learn. Parents, you can teach your child to read but you’d need the right methods and the right time. If you’re interested in teaching your child to read then keep a lookout for my book on readng when it's released. In it you will find my system for teaching prekinders to read before they enter school. I have even taught my own children the same way. Click on the subscribe button now and I will keep you informed when the book will be available. When you subscribe you will be getting these alphabet flashcards free for you to use. Just fill in your details so that I know where to send them to you. 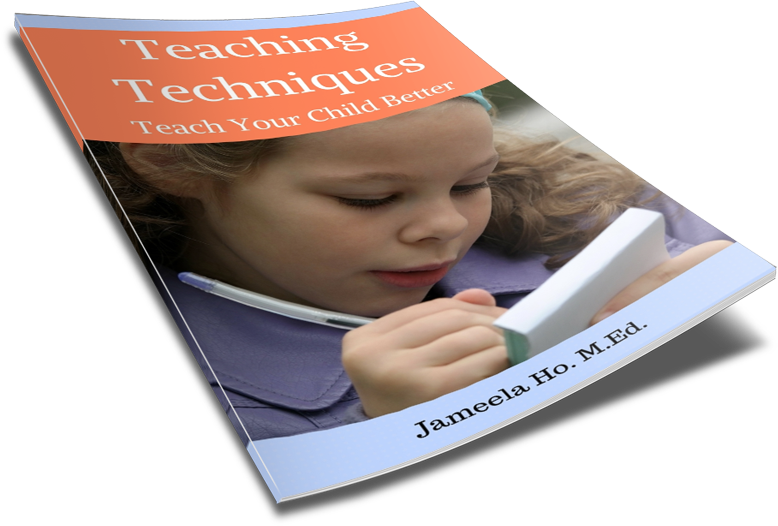 You will also receive further free items, articles and tips for helping your child to read (no spam!). Where should I send the flashcards? In the meantime, I have written some more articles for you so you can start right now to prepare your child to read. Click here ‘7 Ways to Prepare Your Childfor Reading’. For ways that you, as a parent, can do to help prepare your child for reading, click the link. Click here '15 Pre Reading Activities toPrepare Your Child for Reading’. For a more comprehensive list of pre reading activities that your child can do right now, head over to –where you’ll find 15 specific activities that prepares your child for reading. Click here ‘Fun Ways to Prepare Your Child for Early Reading’. This is how children prepare to learn to read and what you and your child can do to help in that process.